NYS Senate Task Force on Lyme and Tick Borne Disease. New York, NY - March 6, 2014 - An Open Letter to NYS Senate Task Force on Lyme and Tick Borne Disease, from Empire State Lyme. In 1988 only five doctors told me that I didn’t have Lyme until I was diagnosed. From 1987 to 1989, my mother believed that she had a nervous breakdown until she was finally diagnosed. Yet, I don’t feel that there was as much denying of Lyme then as there was ignorance of Lyme. Later on, ignorance became denial and truth became hard to find as the scientific feud between the Infectious Diseases Society of America and the International Lyme and Associated Diseases Society raged on. Does a scientific feud explain what has happened and why so many people have been left to suffer and yes, die? 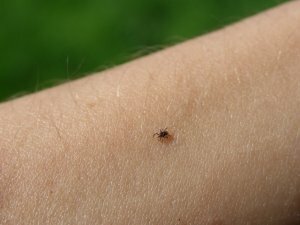 An IDSA doctor once admitted that he would lose his NIH funding if he reported too many positive Lyme disease test results. If what the IDSA doctor said is true, what would justify saying a positive test result is negative? There’s no understanding this at all. Truth, ethical behavior, moral values, moral code, principles should be especially foremost in science. There have been numerous articles about ethics in science going awry. Why have our researchers been blacklisted? Why would anyone want the number of reported positive blood test results kept to a falsified low number? Why has our good science been rejected, ignored, and denied? One reason is that IDSA is in control. A few brave individuals have switched sides but think about it, if our side is correct, and if the other side knows it, then most of them are simply too cowardly to admit the truth. You could have sympathy for them, as they could face ruination, lose all credibility, be sued, and lose their practices, if they told the truth. No sympathy? Well at least it is easier to see why they have to fight us. And fight they do, for how can a multi-award winning film documentary like Under Our Skin receive anything but rave reviews? If you want to be shocked, read what the ALDF and others wrote about it. Then think again, of how much is at stake if they admit the truth. Consider the fourteen IDSA Lyme guideline authors in proportion to their own members, these 14 only comprise 0.156 percent of the IDSA membership. There are between 10.000.000 - 15.000.000 (ten million to fifteen million) doctors in the world. The 9000 IDSA members divided by the lower number of 10million = .0009 which means that the total IDSA membership comprises 0.09 percent of the world’s doctors. If you do the math for the 14 guideline authors, the number is negligible, that is these 14 can be considered as zero percent of the world’s physicians. Yet these 14 dictate diagnosis and treatment of Lyme disease. These piddling 14 are dictating to the entire world’s population! NY has one of the highest numbers of reported cases. The suffering here in NY, as across the world, is terrible beyond description. And what is wrong with the CDC, etc, that they religiously follow this piddling small amount of the world’s scientists and doctors? Is the problem that Lyme is big business? Big business is usually controlled by a small number of people. That’s okay if those in control are correct and also tell the truth. Empire State Lyme invites you to join them for their open forum & support group meetings this March and April. Click here for more information. Subject: LongIsland.com - Your Name sent you Article details of "Empire State Lyme Disease Association's letter to the NYS Senate's Task Force on Lyme and Tick Borne Disease"